Study after study has found that social support is key when it comes to fighting stress and staying happy. And when it comes to the role of humor, there’s a critically important chicken and egg relationship. Sharing a positive sense of humor helps make you more approachable and likeable, which helps you build and maintain a thriving social network, whether at work or at home. Conversely, the more social interaction you have the easier it is to find and generate more humor in your life. Provine’s research found that people laugh 30 times more often when they are around other people than when they are alone! So the next time you are feeling stressed out take a cue from the game show Who Wants To Be A Millionaire?, but instead of using a lifeline, use a “laugh-life” by phoning a friend who you know will make you laugh and help you find the humor in a difficult situation. A study of 1,648 students at Harvard, conducted by Shawn Achor, Phil Stone and Tal Ben-Shahar, also found that social support was by far the strongest predictor of happiness during stressful times. But here’s the really interesting piece of the study: What was most important in terms of sustained happiness wasn’t the level of social support the students received, it was how much social support they offered and provided for others. 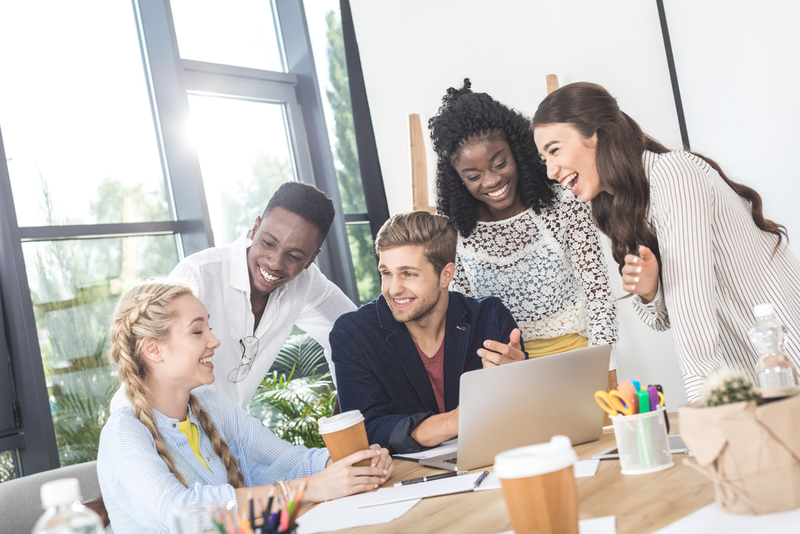 In work situations, the study showed that social providers – people who initiate office activities, pick up the slack, or invite people to lunch – were 10 times more likely to be engaged in their work and 40 per cent more likely to receive a promotion! And as always, small things can make a big difference when it comes to boosting social support. The Ochsner Health System found positive results in their work environment and in-patient satisfaction scores by instituting a very simple program to boost social support called the “10/5 Way”. When employees walk within 10 feet of another person at the hospital they must make eye contact and smile. When they walk within 5 feet, they must say hello. Yes, it’s ridiculously simple, yet it’s still surprisingly effective.